I am in over my head with payday loans. Need to know best option to get out from under this. Thought of debt consolidation, but seen your response on a site that said not to do that. I need help bad!!!! Come with more information to get the best help like Name of the payday lenders, your state, income status etc. I am in the same situation. In over my head in what they call short term installment loans. I live in Indiana and have loans with plain green, spotloan, big picture loans, mobiloans and bluetrust loans. Any help would be greatly appreciated. You need to pay only the principal amount to the illegal payday lenders. BTW...plain green is illegal in indiana. Is there a way to legally stop the payday company from continuously running the amount on your loan through your checking account? Ask the payday lender to stop taking the withdrawals, or inform your bank to stop payment on the withdrawal. If they don't follow your instruction, then you have to close the account. 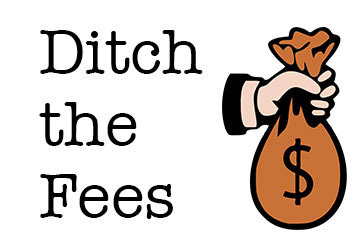 You must revoke the ACH to stop the lender from taking money from your checking account. I live in Indiana and have loans with plain green, spotloan, big picture loans, mobiloans and bluetrust loans. Any help would be greatly appreciated. All of them are illegal.